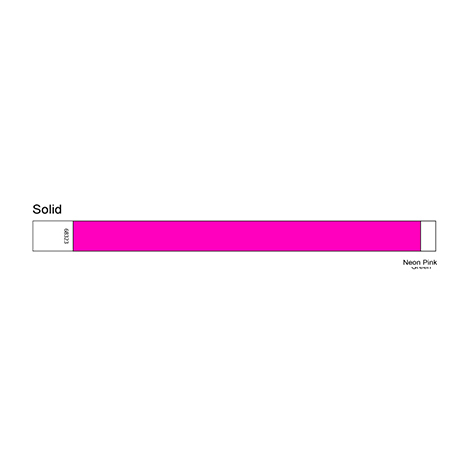 One inch wide, solid color Tyvek wristbands are 1" x 10". Because of their simplicity and easily seen colors, they are by far the most sold Tyvek product we stock. 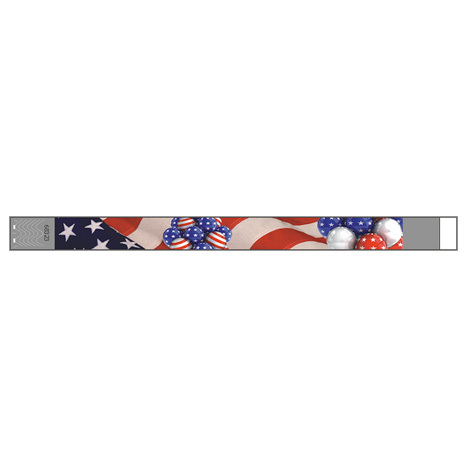 The individual colors, along with the security features of tamper proof slits, offer a multitude of uses for events, running teams, and sports events, just to name a few. There are 17 colors available, which allows multiple uses within the same event. Each wristband has tamper proof slits, backed by an aggressive adhesive which makes transfer to another individual extremely difficult. The adhesive end will shred apart when pulled back if an attempt is made to remove the band. They also come pre-numbered for excellent inventory control. 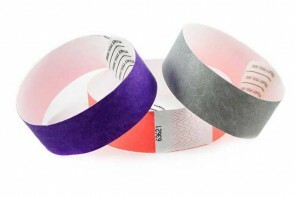 These wristbands fit almost everyone since they can create a very small, or large circle. Applying the wristbands is easy. Simply remove the covering from the adhesive, wrap the wristband around the wrist, and adhere it onto itself. These wristbands are totally at home in the water and are great for pools or parties. 1 Quantity = 500 Wristbands. Quantity Discounts are available and will be applied to your shopping cart upon checkout. Available colors are: Aqua, Black, Blue, Gold, Green, Light Blue, Sky Blue, Lime, Orange, Pink, Sunfire (peach), Neon Yellow, Purple, Red, Silver, White and Regular Yellow.